I've been going to Laguna Seca since I was a kid. My dad would take me there every year to see auto races like the Can-Am series. I even had the chance to drive the track myself years ago (and even spun out in The Corkscrew). This time my visit to Laguna Seca was for Bicycling Magazine to photograph Marianne Vos who was there to race in the Sea Otter Classic. As the article will tell you, Marianne is a pretty big deal. 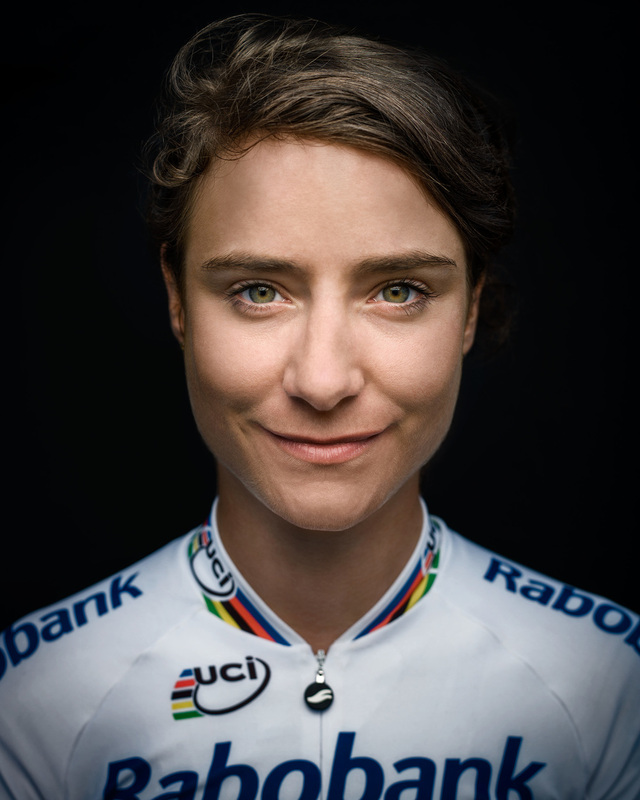 She's the most dominant cyclist in the sport right now. While setting up for the shoot one person stopped by to see what was going on. When I told them I was a shooting someone for Bicycling Magazine, their response was "must be Marinane Vos". I didn't have a lot of time with Marianne, but she was great to work with. She was probably tired and the shoot was likely that last place she wanted to be; but she had a great attitude and was relaxed in front of the camera. She had just actually won the Elite Women's Short Track race minutes before coming to the shoot. The next day she went on to win the Elite Women's Cross Country race. Check out there article in the current issue of Bicycling on stands now.